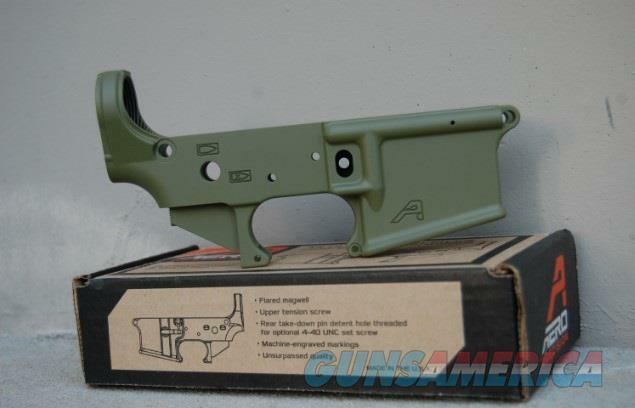 Description: New in box X-Werks OD Green Aero Precision X15 Stripped lower receiver! Features a Multi Cal marked forged lower receiver, upper tension screw, rear take down pin detent hole threaded for optional 4-40 UNC set screw, Mil spec type 3 hard coat anodization with an OD cerakoted finish, and a flared magwell. Start your next project today!! Check out X-Werks on Facebook or go to X-Werks.com!